On This Day, The DePaul Blue Demons Were The National Champs! George Mikan and Coach Ray win the NIT! DePaul plays the Xavier Musketeers on Saturday, March 3rd at 11:00 am Central at the newly renamed, Wintrust Arena in Chicago’s South Loop. It will be carried on Fox (Channel 190 on Comcast) and on the Score (Radio 670). Your DePaul Blue Demons are coming of a disastrous offensive performance at Creighton. This is going to be a quick post, because my heart isn’t in it today. If you read my preview to this game, I stated that Villanova was a well rounded offensive machine. They were. However, for the first 10 minutes of the game, DePaul kept in reaching distance of number 3 ranked Villanova, then the wheels fell off. It took another 20 minutes for the Blue Demons to re-attach the wheels, but by that time they were down 30. This game sucked. I was so frustrated by halftime that I went to work out to get rid of my angry energy. I’m going to start with where things went wrong. After Tre’Darius McCallum decided to let Mikal Bridges get by him, and Marin Maric stepped in with help defense collecting his 2nd foul, creating a 3-point play, DePaul was already in a dilemma. Do you stay with Maric and his 2 fouls, or start bringing in reinforcements? Maric left the game, bringing in Paul Reed. After trading baskets, Bridges used McCallum again, but this time McCallum fouled him. Poor defensive decisions lead to massive foul trouble. What I am trying to get out is that the game quickly devolved in Walk-ons and rarely used bench players being involved. Advantage Villanova. DePaul plays the Seton Hall Pirates on Sunday, 2/18/2018 at noon Central at the Prudential Center in Newark, New Jersey. It will be carried on FS1 (Channel 237 on Comcast) and on the Score (Radio 670). The Pirates come into the game on a four game losing streak, with losses to Villanova, Marquette, Georgetown, and Xavier. On the season they have 17 wins and 9 losses overall, with a 6-7 record in Big East games after losing by eleven at Xavier. DePaul is coming off of another excruciating one point loss by not executing well during the last 4 minutes versus St. John’s. The Blue Demons now have 10 wins and 15 losses, with a 3-10 record in Big East games. 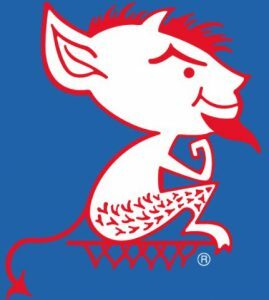 Love, or confused status with your loved one, will be displayed on Wednesday night as DePaul hosts the St. John’s Red Storm on Valentine’s Day, Wednesday, 2/14/2018 at 8:00 pm Central at the “Please God let us Win a Conference Home game at” Wintrust Arena in the South Loop of Chicago. It will be carried on CBSSN (Channel 232 on Comcast) and on the WIND (Radio 560). After famously going on a 0-11 start to conference play, St. John’s comes into the game as the hottest team on the planet with fiery flames burning out of the orifices. In the past 2 weeks, the Red Storm (which describes the color of the flames that are burning out of their orifices) have beaten Duke, Villanova, and Marquette.